It was the summer of 2006. I was on a two week business trip to Quincy Massachusetts with a free weekend in between that I decided to use as an opportunity to sight see around and about the historic city of Boston. As I plotted my trip, one destination was a must. Fenway Park. I’ve got a thing for ballparks and stadiums and Fenway, with its iconic “Green Monster” wall that spans left field was a must. There was a game that day, but it was 90 degrees outside, ticket prices would be exorbitant and I didn’t want to spend my only day in Beantown watching a ball game I really didn’t care about. I would be satisfied with taking a lap around the park and catching just a glimpse of the field. I took the T (as the locals call their train transport) and ended up at Fenway well before game time. I bought a Red Sox Tee at a souvenir shop and walked around the historic park. Nowhere could I catch a spot to view the actual playing field as brick walls encased the park. As I turned left off Yawkey Way to Van Ness Street, there seemed to be a gap in the park and while there was an opening, the actual field of play was not in view. I had a Kodak disposable camera. This was before cell phones came standard with cameras. 2006. The good old days. A stranger in a strange town, I did as directed and satisfied my trip to Fenway with a T-shirt, and a bottle of “Wicked Cold” water I bought from a street vendor on Lansdowne Street just behind the “Green Monster.” I only saw “The Monster” from the back side. 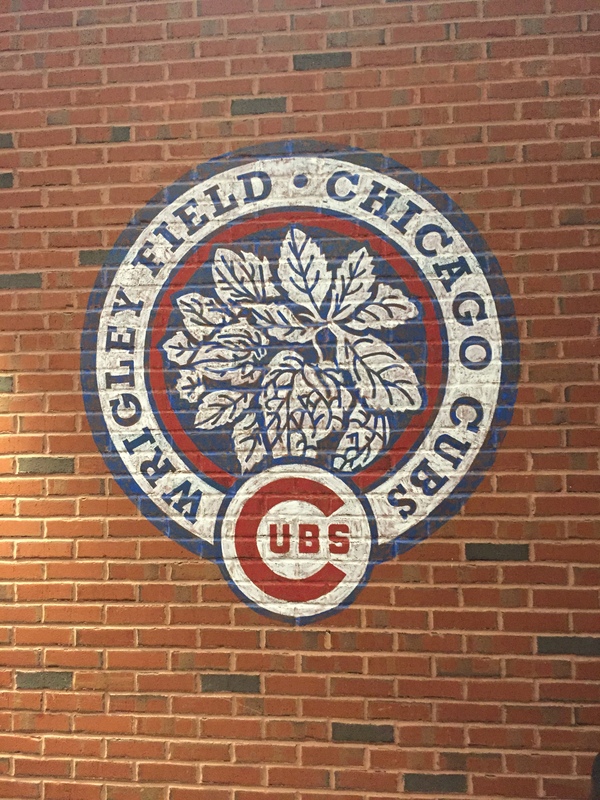 Yesterday, June 20, 2017, I took a tour of Wrigley Field with my wife and some out of town guests. What better site to show Chicago to the visitors than a trip to the iconic ball yard the year after the Cubs first World Series title in 108 years. My back was sore and my knees were aching and we lagged behind the tour group as we moved from the right field bleachers to the left field upper deck grandstands. “Excuse me, excuse me sir,” said a fellow peeping through the gates in the right field corner as I took a turn to head up the stairs. Eleven years later and it just took a second for the serendipity of the moment to reach me. She did. She didn’t ask why, she clicked away. After 26 years, I still love this girl. I handed back the phone to the New Yorker and my wife and I moved along to catch up with the tour group. Some may call it a fortuitous moment for the New Yorker. Some may call it Karma. I prefer to see it as serendipitous. Somewhere in New York this weekend, a guy is showing photos of his visit to Wrigley Field that have the green field, the ivy and the monster center field scoreboard. My wicked cold water botte is long gone. And, I share this tale because sometimes a special moment happens that merits mention.